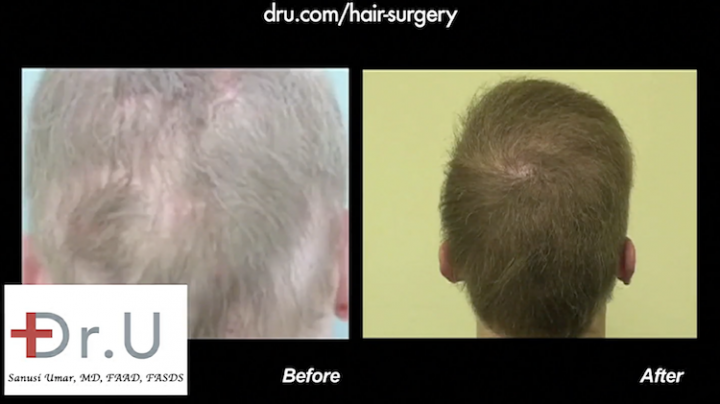 The patient below is one of the most extensive repair cases taken on by Dr. U and team. 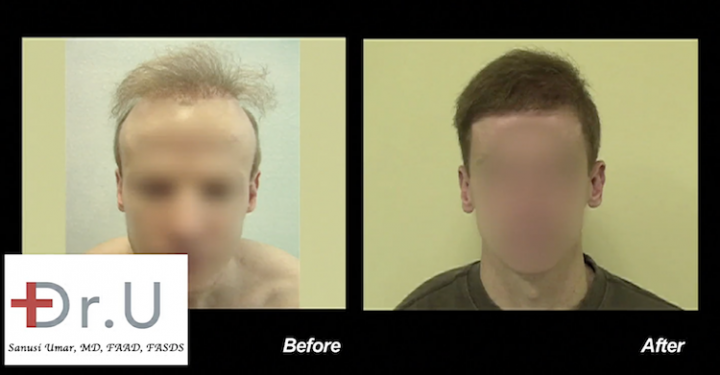 His previous procedures included outdated surgeries such as scalp reductions. They left him with islands of baldness and scalp disfigurement. 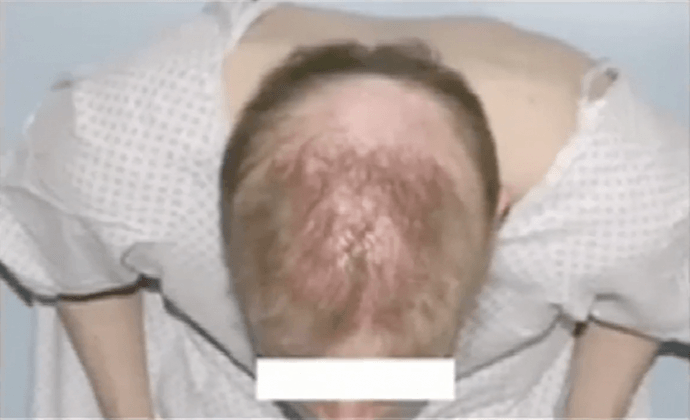 He decided to consult with Dr. Sanusi Umar (Dr. U) in Los Angeles after learning of his hair transplant repair technique, published in Facial Plastic Surgery of North America. Due to his depleted head donor area, Dr. U used non-head hair extracted with the Intelligent Punch™ (Dr.UPunch i™) to provide sufficient coverage over scars and bald areas. In total, only 1,000 head hair derived grafts were used; 15,000 grafts were chest, shoulder, or abdomen derived, while another 6,000 were beard derived. The use of non-head hair also enabled a softer, more natural looking hairline to be created. Unbelievable, a full head of hair! 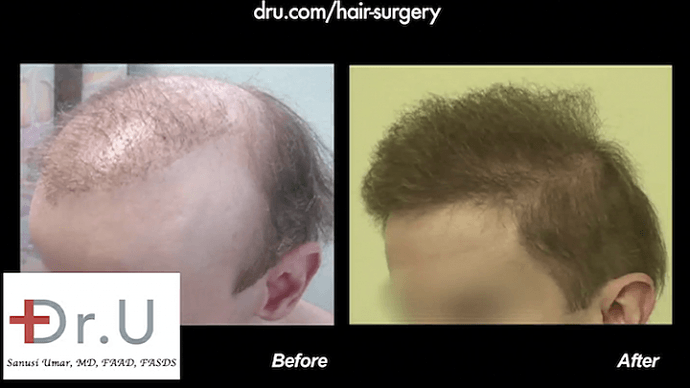 It better be a full head of hair after 20,000 grafts., don’t you think?